One of my favorite stories of a woman foodypreneur who rose from near-disaster to riches ($100 million), while still making a great product and being a nice person, is that of Kathleen King and Tate’s Bake Shop. She even had to give up her name along the way, but her recipes live on. Running into women I met at prior years’ shows and watching their progression from the “cheap seats” (the new product areas) to the big booths on the main floor is always encouraging. Retaining one’s humility, humor, and willingness to interact with booth visitors always adds an extra dash of class to a brand. Why would I want to buy food from a mean girl? The co-founder of Pipsnacks has been swimming with the sharks — as in Barbara Corcoran of Shark Tank. In fact, Corcoran has publicly called the brand her favorite investment. Not only are the products and packaging great, but Jennifer Martin is sweet, fun, down-to-earth, and humble. 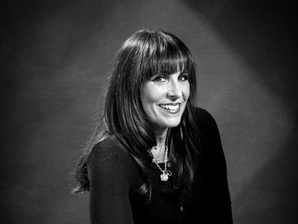 Viki Sater is a cereal entrepreneur. Founder of Viki’s Granola, she was inspired by her daughter (who was helping out in the booth) to start her business. Speaking of family affairs, “Uncle Andy” of Uncle Andy’s Jerky asked his mom to work with him at the show. Although the business isn’t technically owned by a woman, sometimes the rapidly-expanding jerky world needs some maternal nurturing. A timeless meat-based snack is the good old pig in a blanket, and the Brooklyn Piggies women are still going strong in taking their product to market. These women are definitely not nuts, although they are taking full advantage of a booming category. We always stop by to see Bobby Sue’s Nuts. The founder grew her business into a national brand since it launched in 2008, and the company just announced that their products are now available in Yankee Stadium. Lisa Stanford and Joy Thompkins are taking peanut butter to a whole new level with their Bnutty flavors and, like Bobby Sue, have added a pinch of philanthropy to their brand’s mission. What’s peanut butter without jelly? Although we missed Josephine’s Feast at the show, I caught up with her at the East Hampton Farmer’s Market (speaking of “keeping it real”). In addition to preserves, she manufacturers seasonings. (Product line expansion is key to scaling a food business.) Jammit Jam adds a “splash of libation” to their fruit spreads. As for spirits, one of the most innovative products we saw was True Cocktails. They are low calorie, taste great, and come with their own little cocktail shaker. By women, for women. Cheers! Tea for two — or two million? The ladies’ tea will get a little rowdier now that Owl’s Brew is expanding their line of tea-based mixers, and is even launching a tea-based beer. And because everything in the summer is better with beer, Kate Quartaro has adapted her great grandfather’s recipe to lager-laced Worcestershire Sauce, keeping the Pabst family name at picnic tables everywhere. If you get your bliss from fruit rather than booze and chips, you’ll love Fruit Bliss, founded by Susan Leone of Brooklyn. The food business is big business. And having the right skills, manufacturing plan, and distribution connections can make all the difference in the recipe for success. Edie Feinstein of the Brooklyn Foodworks is helping the next generation of food-related entrepreneurs — women and men — get the training, funding, community, connections, and commercial kitchen services they need to take their businesses to the next level. What’s most striking about the above “Top 10” list is the diversity of women-owned food businesses and the number of them that have already scaled their businesses and taken them national.